Recovering from exercise is absolutely critical to improving your fitness. Most people understand that exercise and nutrition are important, but they tend to ignore the massive role recovery plays into the equation. As a busy professional, optimizing your recovery can be quite daunting, and often difficult to focus on. Fortunately, you are about to learn the best methods to maximize your exercise recovery. Welcome to the fourth installment of the WCT muscle building series, where we teach you efficient ways of exercising to build muscle despite your busy schedule. In Part 1, How to Build Muscle Naturally Using Scientifically Proven Methods we discuss the 3 step method you need to do in order to build muscle. If you don’t do these three things, then you are simply wasting your time. 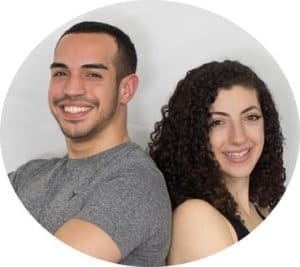 In Part 2, What’s My Body Type [Ectomorph, Mesomorph, Endomorph] we discuss the different body types, and how each one builds muscle differently. It is important to determine which body type you are so that you could plan your diet and training accordingly. In Part 3, How To Make An Exercise Program For Muscle Growth we discuss the optimal amount of work you need to do to build muscular size and muscular strength. I highly recommend that you read through those articles first. Ok, so you just exercised four times this week and you feel beat. There are two main methods that you can use to recover from your workouts. Passive Recovery and Active Recovery. We will start with the most important method. Passive recovery is by far the most important thing you can do to restore your body. This is simply letting your body heal as you rest from physical activity. However, it is important to not misinterpret this. Passive recovery does not mean for you to just sit back, watch tv, and let the cows come home! It is important to give your body the building blocks to allow recovery to occur- this means paying close attention to your sleep and your training schedule. I wish people understood just how important sleep is. Sleep is the equalizer. It will contribute to at least 33% of your entire fitness progress. It is so important, we have written a three-part series on how to maximize your sleep. You can find them at 3 SureFire Ways To Help You Fall Asleep and Get The Rest You Deserve. Sleep deprivation can lead to poor exercise performance, increased risk of injury, and muscle breakdown from increased catabolism. Sleep isn’t the easiest thing to get a lot of these days. Especially not as a resident physician. However, the most important thing that you can do is to improve your sleep consistency. Try your best to not confuse your body. Don’t workout 7 days a week. Your workout should not take more than 45 minutes a day. Thankfully, this should not be an issue for the vast majority of individuals reading this post. The next thing that you need to do is to maximize your post-workout nutrition. This means eating the right foods at the right time. So what do you need to consume post workout? It is absolutely necessary to consume protein and carbohydrates following your training to help replenish the glycogen stores in your body and begin the process of muscle protein synthesis. 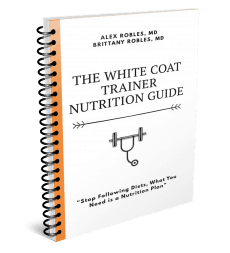 We go over the three macronutrients and their importance in The Importance Of A Balanced Diet [3 Key Principles You Need To Know]. It is often debated what the optimal post-workout nutrition window is. There is no hard and fast evidence, but to be safe, consume this meal within 45 min -1 hour of your workout. This is your chance to eat free carbohydrates. Your body is starving for energy and it will quickly use up the calories from carbohydrates to rebuild itself immediately following a workout. This is why exercise is so important for Diabetics. During exercise, the body up-regulates carbohydrate receptors, which results in lower than normal blood sugar spikes. The more you workout, the more free carbohydrates you can consume. So how many carbs should you consume post workout? The more aerobic your workout was (think fast HR, and heavy breathing) the more carbohydrates you can consume. I personally consume upwards of 800 calories post workout to help replenish my reserves. Are There Any Good Muscle Recovery Supplements? I prefer that you keep supplements to an absolute minimum. Whey or Plant-based protein powders (with minimal ingredients) are going to be the main muscle recovery supplement that you may need. Protein powders are simply a convenience. They aren’t absolutely necessary. If you can maximize your protein intake post workout with natural food, then protein powder is just a commodity. There has been a lot of mixed research on supplements like Branch Chain Amino Acids (BCAAs), Glutamine and L-Carnitine. In my honest opinion, all of these supplements are crap and just a waste of your money. If you focus on quality nutrition as we discuss on How To Lose Weight Naturally Using The Incredible Power Of Food, you will be more than fine. Lastly, you must consume enough water on a daily basis. If you do not drink water, you will die. Plain and simple. Aim to drink approximately half your body-weight every single day. (I.e if you weigh 150 lbs, you should consume 75 oz of water). Water is absolutely necessary to help flush out metabolites that are created from strenuous exercise. Here are three quick strategies to get you started. Consume 16 ounces of water immediately post workout. Don’t sleep on hydration. It’s one of the most important things you can do for your health. If you are ever thirsty throughout the day, then you have waited far too long. The third most important strategy is active recovery. Active Recovery is exactly what it sounds like. Rather than waiting for your body to repair itself, you continue to remain active on the days you are not training. This includes walking, swimming, using a stationary bike, stretching, and even self-massage with foam rollers etc. It is important that the stress during active recovery is of low intensity so that it won’t interfere with the actual repairs that are happening. Low intensity could be defined as an activity that requires minimal effort and does not cause a significant increase in your heart rate. Why Would You Use Active Recovery? Active recovery is meant to help your muscles recover by improving their circulation. More blood flow to your muscles means a huge influx of oxygen and nutrients which allows for a higher outflow of metabolic waste products. My absolute favorite method of Active Recovery and the one that we recommend to you is walking. Brittany and I do our best to take 10,000 steps or more on our rest days and at least 7500 on our training days. The more you move, the more energy your body creates. This is one key strategy you can use to de-stress and recharge from a tough day at work. The return on investment is disproportionate. If you need ways to increase your step count, check out The Detrimental Effects Of Prolonged Sitting [And 8 Ways To Combat It]. As a busy professional, it should be easy to include more walking into your routine. Get creative, do not dismiss this. 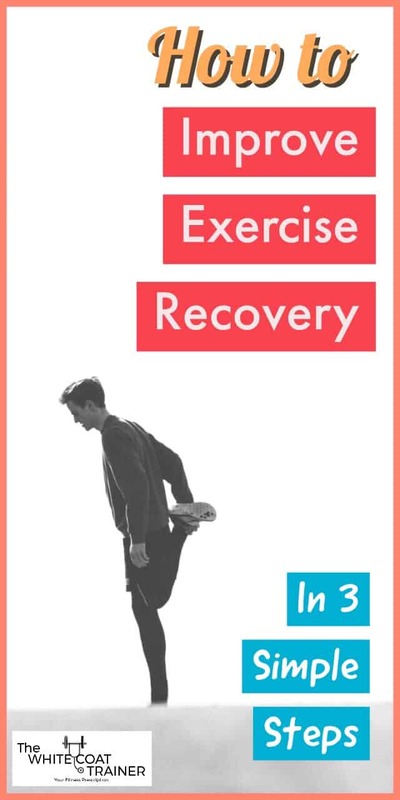 There are a few other things you can do to improve your exercise recovery, however, they are nowhere near as important as the three we just mentioned. You can use these strategies if and only if you have your sleep and nutrition under control. Foam rolling aims to massage and remove “knots” or “trigger points” in problem areas to help improve muscle soreness and flexibility. This is best done post workout or on an off day. Similar to foam rolling, massage can help promote relaxation and get rid of muscular “knots.” I personally love massage but keep in mind, this is only supplemental. Plus, it can get quite expensive unless your significant other happens to be a good masseuse. Stretching is not necessary for muscle recovery and is often overused by the general population. If you enjoy stretching, do it post workout or on an off day. But understand that stretching will not help with recovery. Electrical stimulation devices aim to cause repeated contractions in the muscle it is attached to, resulting in increased blood flow to the area. Blood flow is what will allow oxygen and nutrients to flood your muscles and help to eliminate waste products and metabolites. In theory, this can lead to decreased soreness and improved recovery. What Happens If You Don’t Maximize Exercise Recovery? Exercise is a catabolic process. This means that your muscles have to break down and use up their resources extensively, in order to perform the physical activity. The harder you exercise, the higher the catabolic demand on your muscles. This process isn’t exclusive to exercise. It is important to recover from the physical and mental demands of your work as well! Optimizing your recovery is what will allow your body to go into anabolism or a state of rebuilding and repairing. This is how your muscles get stronger, your body becomes more “fit,” and your brain recharges for another day of work. Just as we describe in How to Build Muscle Naturally Using Scientifically Proven Methods, your body must go through a three-step process. In order to adapt to the stimulus/stress of exercise and life, you must allow recovery to occur. If you ignore your recovery, then you are not optimizing your fitness, and you could very well be wasting your time. Worst Case Scenario: You wind up injured, burned out and unmotivated. Depending on your physical capabilities, and the workout that was performed, muscle recovery time takes approximately 48 hours. The more untrained you are, the quicker you can recover from a workout, and the more experienced you are, the longer it will take. An untrained individual is not yet strong enough to fatigue or stress their body/muscles sufficiently to a level that requires a significant amount of recovery. For example, trainee A has been lifting for 3 months and can only accomplish a 100 lb squat for 3 sets of 5 repetitions. Compare that to trainee B, who can squat 500 lbs for the same amount of volume (3 sets of 5). All other things being equal, trainee B will need a longer time to recover. Either way, we recommend that you do not train the same muscle group on consecutive days. With this strategy, you can still train the same muscle group twice in one week as we discuss in The Best Workout Template for Busy Professionals. How Long Does it Take for Muscle Soreness to Get Better? Muscle soreness is one of the most common complaints I hear trainees make when they start to exercise. I don’t blame them. With that said, the rate of recovery from muscle soreness is highly variable. For some, it’ll last 1-2 days (if you optimize your recovery) and for others, it can last up to a week. 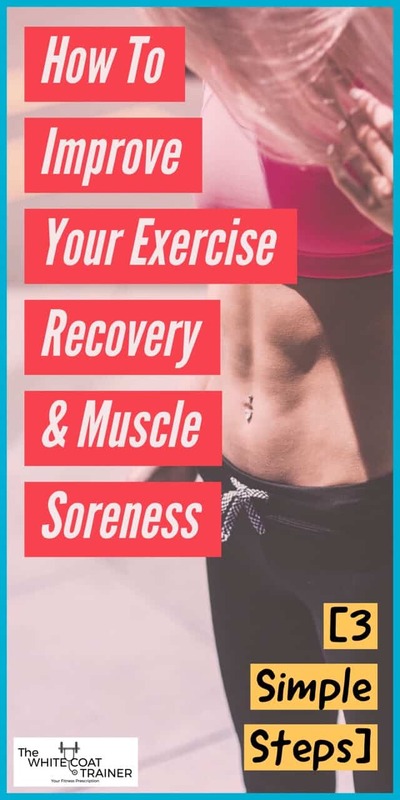 Understand that it is OK to exercise while you are still sore, provided you have waited at least 48 hours from the last time you trained that muscle group. Training must be composed of a yin and a yang- a catabolic stimulus, followed by an anabolic recovery. You can’t have one without the other. If you want to realize your optimal fitness aptitude, then you should utilize both active and passive recovery methods, but make sure that you don’t skimp on the passive stuff. Without a proper recovery, there is no progress. What are your go-to post-workout recovery strategies? How many grams of protein and carbohydrates do you consume after working out? Do you foam roll or stretch in an effort to improve recovery? Great tips. This was so informative. Thank you. Im glad you got something useful from it!